Redang waters offer ideal conditions for coral growth with many species of hard and soft corals found there. Redang Island is a scuba diver's paradise. Located 50km from the mainland and a 2 hour boat ride from the Marang Jetty, the island is surrounded by crystal clear waters, pearly white shores, a colorful array of spectacular marine life, a breathtaking sunset, and what could be the world's most mature coral garden. 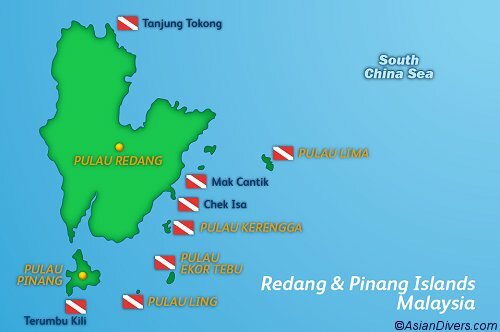 The park is among the best diving spots in Malaysia where marine life is protected and souvenir hunters are liable for prosecution. This paradise-like island is perfect for swimming, snorkeling, scuba diving, jungle trekking, fishing, boating, and canoeing. Until recently, accommodation has been in the form of chalets, but if you are keen on luxury, an international class hotel had just opened its doors.